Artist Statement .My practice is a constant exploration of repetition, process and formation. 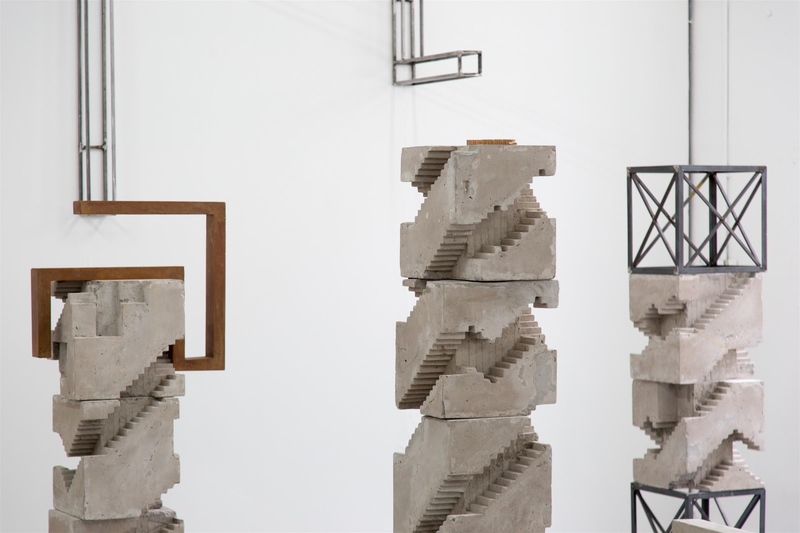 Often these works explore the boundary between sculpture and architecture. Making a dialog between the two practices. Making on a large scale means that the viewer can have a bodily interaction with the work. I feel this is important when making work in relation architectural interventions. Being of a large scale often means exhibiting the work outside and work site specifically. It is interesting to see how sculpture inspired by architecture responds to buildings of varying architectural styles. Because of this constant exploration of form, material and location, one artwork makes the next with one sculpture inspiring the next. While my work may look similar to some architectural forms, I am making something purely visual with no function, and with a conceptual framework that only art can have. The material, scale, form and location give my work its context and narrative, separating it from pure architecture. I believe my own artwork describes visual relationships; it is a way for me to make sense of architecture and its aesthetic values. It is a way of trying to understand abstract relationships. The difference between sculpture and architecture in my work is that architecture is the influence of my sculptural forms. The work is purely visual, with no function, but with a narrative and concept a building cannot have. Artists from the Aesthetica Art Prize"